Review smartphone Sony Xperia XZ1: compromise flagship? Gadget » Articles » Review smartphone Sony Xperia XZ1: compromise flagship? 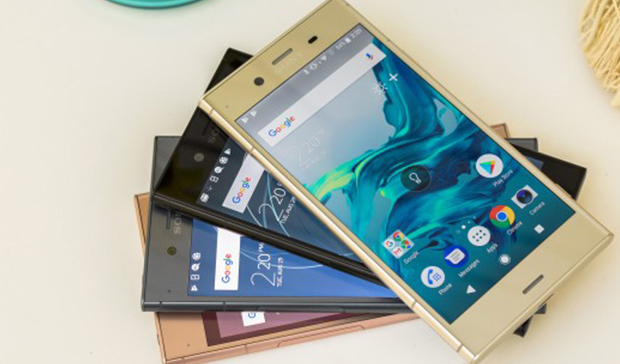 During the international exhibition of electronics IFA 2017 among all the other devices and gadgets, Sony introduced the Sony Xperia XZ1 with which we are acquainted.When looking at the Xperia XZ1 with metal case, the current version of the operating system and a pretty decent performance, I have only one thought – the designer of the company is very principled and stubborn man. At the time, like all other mobile device manufacturers are following the trends of this year and installed in their smartphones QuadHD displays, dual cameras, and generally try to do something new, Sony is continuing to release smartphones as they see them. Let’s see whether the Sony Xperia XZ1 compete with the flagships of other manufacturers? This unit looks like a family heirloom from Sony: the design is the same as a few years ago. But there is a slight improvement of appearance. If earlier smartphones had sharp edges and felt “square”, now the side faces are rounded, which is undoubtedly a plus, as sharp edges do not dig into the hand during long-term use. Sony is definitely trying to update the look of their vehicles, but what they have is not much work. In addition, the problem is compounded by the fact that competitors are not asleep, and in 2017 I imagine really nice smartphones. The frame around the display are quite large. This is especially true of the top and bottom of the device. Some may say that this decision is connected with use of the front speakers. I disagree, since the same Google Pixel 2 also has dynamics, but does not have such a huge framework. Well, okay, it’s a matter of taste. And I know many people who are fans of such a design and only buy Sony smartphones. On the right side of the case is slightly recessed power button/lock of the smartphone, which combined with the fingerprint scanner. A little above the power button is the volume rocker. At the bottom of the right edge of the device has such a rare button that is responsible for the shutter release of the camera. The left edge of the unit has got the slot for the SIM card and slot for memory card format microSD or another “Sims”. The lower face of the housing looks very elegant. It has a centered USB Type-C connector, which is designed for charging and syncing your smartphone with your PC and a small speaker. At the top there was a headphone Jack and a microphone, which is responsible for noise reduction during conversations or video recording. As for build quality, it on top. Metal case anywhere is not pressed, no squeaks, no strange gaps and cracks. In this paragraph of the review, the engineers at Sony really did a good job. As I wrote in the beginning, the smartphone manufacturer is proven on the track and is skeptical of any experiments. So, in Xperia XZ1 set IPS-display with a diagonal of 5.2 inches and a fairly standard resolution of 1920×1080 pixels. It should be noted that the display this unit supports playback of HDR content, which can be found at Amazon or Netflix. If you, for any reason, not satisfied with the color reproduction of the display, it has a lot of settings. So, there are three preset color schemes. For more detailed figures on display, the tests showed that it covers the sRGB standard by 97%. That is just a great result. As to the advantages of the display include the proprietary technology TRILUMINOS. Even when using standard rendering mode, colors on the display are very beautiful and contrast. With regard to the margin of brightness, then it is. Even on a Sunny day, the display remains readable. If we talk about performance, not appearance, the smartphone Sony Xperia XZ1 can be called the flagship of this year. As the Central processor uses the Qualcomm chip Snapdragon 835, which has 8 cores with a maximum clock frequency of 2.45 GHz. Paired with a processor has 4 GB of RAM and a graphics accelerator Adreno 540. In everyday life, the smartphone runs very fast. All apps open very quickly, the interface does not brake and does not even think to do this, in the memory holding some pretty “heavy” applications. If we talk about games, even “NFS: No Limits” or “Contest of Champions” was not a problem for this device. In this point of view can be attributed to the fact that the smartphone is protected against the ingress of moisture and dust to standard IP68. Also, we should note the fact that in the smartphone mid-2017 is still present Jack for your favorite headphones. So, after buying this smartphone, you will not have to headache about finding the right and working adapter. Sony has worked on this phone very well and introduced special technology called a “SmartAmp”, through which external speakers of your device will last you about one and a half times longer. As for volume, it is sufficient, but could be better. My personal Nexus 6P sounds much louder. Apparently affects the use of the aforementioned technologies. Operation time from one charge of the battery is the weak point of the smartphone. No, it works enough, but less than other flagships this year. Capacity built-in battery is 2700 mAh. If to speak about real usage, I was able to get about 4 hours of display. It’s clear that playing “heavy” games and using 3D Creator from Sony, the battery life is reduced exponentially. A huge plus is that Xperia XZ1 supports fast charging standard by Qualcomm Quick Charge 3.0. Due to the rapid charging this unit can be recharged by half in just 30 minutes. Therefore, the modest battery life is not so negative, as all write about it. Smartphone works just as well as other devices. Though a bit less than other flagships this year. Some of the advantages of the camera went to the smartphone from Sony XZ Premium. As I said in the beginning, the manufacturer does not go on about the trends this year and not in a hurry to install in their smart phones dual camera modules. So, in Xperia installed XZ1 camera, the sensor which has a resolution of 19 megapixels. In dignity you can safely record the use of five-axis stabilization and the ability to record 4K-video at 960 fps. As for the features when shooting photos, you have a special feature that allows you to take four photos of a moving object, then to choose a more clear and detailed picture. The quality of the photos on a solid rating of “4”. In good light you will always get clear and detailed images without blurring. If we talk about the poor lighting (twilight, light bulbs), then you will have to try to get the above picture without blurring. Very upset with the fact that optical stabilization only works when recording video. Sony, why are you? 2017 in the yard, and you release smart phones without optical image stabilization when taking a photo? Well, as for me, it is not serious. The main feature of the camera of this device is a new application called 3D Creator. With it you can create 3D models of people, food or anything you come to mind. This possibility, of course, not so necessary, but its presence is undoubtedly impressive. When you’re bored, you can have fun. To create the 3D model is quite simple. First you need to choose what you will scan. I noticed that all the distortions usually obtained in the case when there is not enough lighting. Once you’re finished scanning, you can save the result or even print it. The front camera has a sensor resolution 13 MP with aperture of f/2.0. Such characteristics of the sensor allow to selfie shots, which is not ashamed to Instagram to upload without treatment. As I wrote in the beginning of this material, the Sony Xperia XZ1 out of the box running the latest version of the Android operating system, we are talking about Android 8.0 Oreo. This is a huge plus in reputation of Sony. As expected, now the system has the function “picture-in-picture”, adaptive icons, AutoFill and more. As for the shell, as before, it is very close to the stock version of the Android operating system. In General, the system works pretty stable. During the long testing apparatus no stocks system I was found. The target audience of the smartphone Sony Xperia XZ1 are fans of the company. All the same design, but with a twist of something new and unusual. The advantages of this apparatus can be safely written top-end features and quite democratic price tag. Yes, the cost is rather big. But you look at other devices with similar characteristics. Their price tag close to $1000, or even went still higher. Sony Xperia XZ1 compared to the XZ1 Compact! Buying myself a Sony Xperia XZ1, you get a smartphone with metal housing, productive performance, an innovative feature of 3D scanning, quite a good camera and sufficient battery life. You are reading an article on the Review smartphone Sony Xperia XZ1: compromise flagship?. All materials on the site Gadgets F, а также и статья Review smartphone Sony Xperia XZ1: compromise flagship? - written for the purpose of information enrichment and we are happy if you like our magazine. Reviews to article Review smartphone Sony Xperia XZ1: compromise flagship?